Our personal injury lawyers in Cincinnati help injured individuals – and their families – put their lives back together after a serious injury or wrongful death. Whether it involves a car or trucking accident, a daycare injury, or even a catastrophic injury and wrongful death, we’ll fight to secure the compensation you deserve for your suffering as a result of another’s negligence. Our mass tort attorneys have fought for thousands of individuals who’ve suffered serious side effects from dangerous drugs, or who’ve been hurt by defective medical devices. Our national team of trial lawyers, paralegals, and nurses have the resources and experience to fight for you against some of the world’s most powerful companies. If you or a loved one have been harmed by a defective product, the experienced products liability attorneys in Burg Simpson’s Cincinnati office are here to stand with you and fight against even the biggest corporations in the world. Burg Simpson’s product liability attorneys have decades of experience in holding corporations accountable for the harmful products that they have sold. Burg Simpson’s product liability lawyers have represented farmers who have been harmed by poorly designed farm vehicles, patients who have suffered substantial pain and life altering injuries from defective drugs and medical devices, restaurant patrons who have been served and eaten contaminated food, and many others. If you or a loved one are the victims of a defective product, Burg Simpson can help. If you or a loved one has been the victim of sexual abuse, assault, or harassment from a teacher, a co-worker, or someone in a postition of trust, it’s important that you act quickly. 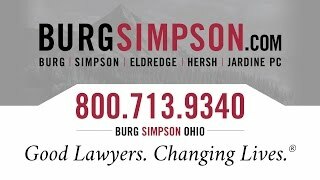 Our sexual abuse lawyers at Burg Simpson Ohio can help you pursue the justice that you are entitled to. When you put in a hard day’s work, you expect your employer will treat you fairly and pay you appropriately. If your employer has not meet these expectations, it is important that you speak with an experienced employment law attorney in Burg Simpson’s Cincinnati office who can advise you of your rights and fight for you if those rights have been violated. If you have been wronged at work, we are here for you. Burg Simpson’s business litigation attorneys in Cincinnati handle a broad range of commercial legal matters. 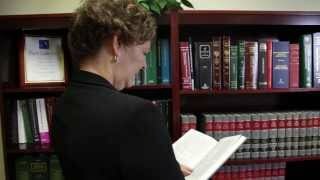 We’ve handled cases such as contract disputes, whistleblower, and qui tam actions, unfair competition claims, and cases involving securities fraud. Commercial litigation can be complex. The experience of Burg Simpson’s business litigation attorneys allows them to cut through that complexity to help you achieve the result you are looking for. We’re here to help multi-national corporations, partnerships, limited liability companies, sole proprietorship’s, and individuals with their business or commercial needs. Call us today. Burg Simpson’s consumer litigation attorneys fight for the rights of individuals who are the victims of unlawful sales practices and data breaches. If a business’s actions have harmed numerous consumers, Burg Simpson will help these individuals band together to hold the business accountable through the filing of a class action. Our experienced team of class action attorneys can help you get the justice you deserve.